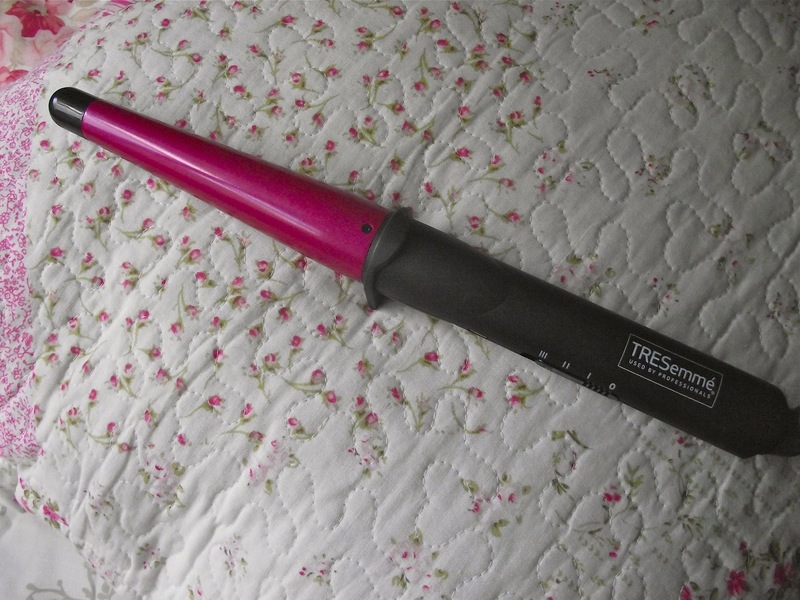 Jesska Denise: Tresemmé Hair Curling Wand. Lets take a moment to point out how ridiculously hard it is to photograph hair tools. They're just so long and awkward. I salute any of you who cant take A+ photos of them. Anywhoo. I got this beauty for Christmas this year and after messing around with it for two months, I thought I'd share with you how great it is. Whether you're trying to achieve some loose beachy waves or some bouncing curls you need this. The wand itself is very easy to use and the lack of a clamp makes it all the more practical. I'm also a sucker for the pink barrel. My hair is quite stubborn and even though it has it's own kink to it and is naturally quite wavy, I find it very hard to get a curl to hold. I found the primary problem for this is the hair curler I had been using had only the one temperature setting where as this one has three which makes it perfect for all hair types. If you have quite fine hair you really won't need to go above the first setting as it gets quite hot but if you're like me and have thick hair the third setting is where its at. There is a stark difference in heat between the first and third setting which goes up to 200c. To get my hair quite wavy and tousled (as photographed) I would use the second setting. Without applying hairspray they hold for a good 4/5hours which is good in my books as my hair will usually fall out after an hour or so. I watched a lot of youtube videos to help me figure out some tips and tricks for the wand and the best one I've watched is this one here from Lauren Elizabeth. I'm still messing about with it but I definitely prefer it to any of my other hair curlers and especially curls achieved by a hair straightener. The curler also has a safety shut off, where it turns off after 72mins in case you accidentally leave it on, which is genius. What do you guys think? Are you more of a GHD curl kinda girl or are you loving the wand? 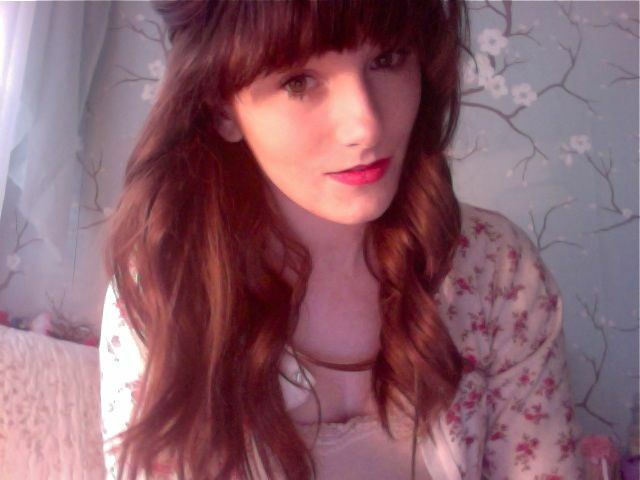 I love using curling wands! I have been wanting a curling wand for such a long time - but never know which one to get. There seem to be so many out there. This one looks like it gives good sized curls and from what you say the curls / waves hold for a fair amount of time. I have this wand! I think it's pretty amazing considering the price. Just wish the barrel was a little bit thicker. I really do love Tresseme styling tools. I have a set of curling wants at home and they've lasted me for ages and work really well. The new wand looks fab.